The desire to learn new skills, and the ability to exercise strong interpersonal skills, have grown in importance in powering professional success, a recent CFO survey shows. 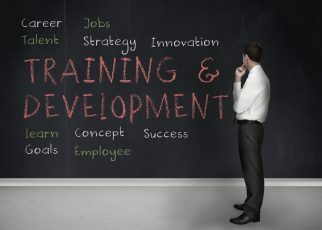 The survey of more than 2,200 CFOs by professional staffing firm Accountemps, a Robert Half Company, found that CFOs place an even higher value on learning and professional development and ‘soft skills’ than they did four years ago, while the value attributed to ‘willingness to work long hours’ has lessened. The increased desire for accountants and auditors to provide value-added services applying higher-level insights vs. pure time spent on more routine tasks could potentially be a driver behind these results. We have seen accelerated use of artificial intelligence, data analytics, use of the cloud and the disruptive impact of technology, generally, on the accounting and finance profession, as detailed in Can software really replace accountants? (AccountingWeb), Big Four accounting firms delve into artificial intelligence (ComputerWorld), It’s time to make Watson (as in IBM) your friend (Tom Hood, LinkedIn Pulse), and The scary automated future we keep hearing about? It’s here (Bill Sheridan, BLI blog). What’s the antidote or answer to becoming disrupted, and instead riding the waves of change? Learning is key to developing the ability to see trends and build strategies and skills to leverage the ever-changing world we live and work in. One of the top experts in predicting future trends and consulting with Fortune 500 companies how to leverage those trends is NY Times and Wall Street Journal best-selling author Daniel Burrus. The Maryland Association of CPAs and The Business Learning Institute (BLI) partnered with Burrus last year to offer a unique and powerful training program, The Anticipatory Accountant – Accounting and Finance edition (AOAF), which offers brief self-study segments with interactive work within organizations / firms to build competencies and capacity to thrive – not just survive! The number one recommendation made by Accountemps to achieve the professional profile in demand by CFOs, providing access to learning, communication and soft skills: Join Industry Associations. 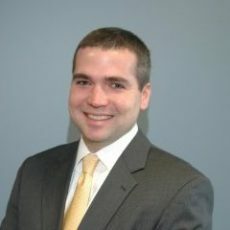 “Candidates have better chances of increasing their opportunities of employment through participation with professional organizations,” says Jack Moyer, Baltimore area branch manager for Robert Half Company.l He explains why hiring executives – and the recruiters who represent them – see value in professionals who participate in industry associations, such as their state society of CPAs. “The industry is always evolving, therefore it’s important to stay market-ready. Professional associations help candidates further develop their skills, learn about new trends affecting the workplace and help expose candidates to new companies and other professionals that they perhaps would not have met otherwise,” Moyer adds. Employers – whether CFOs in corporate, government, or not-for-profit organizations, or hiring managers at audit, tax and advisory firms – look at candidates’ backgrounds, both in and out of the office, says Moyer, when making a hiring decision. “Although a candidate may not have worked in the sector for the role they applied for, active involvement with a local professional organization can show that they are serious, they fully understand and are capable of the roles and responsibilities,” he adds. Similar to volunteer activities, participation with professional associations can be as important, if not more important, in hiring decisions says Moyer. Active participation with industry associations shows employers and other professionals that the participant is committed, hard-working and dedicated to continuing their professional development, the leading priority for professional success noted in the CFO survey. That’s why industry organization/professional association participation translates into an asset for employers, and the employee’s career development, says Moyer. Another recent Robert Half Management Resources survey found that, CFOs want more strategy; most finance execs value strategic-thinking, but many don’t provide the training. Given the desire for – and shortage of – strategic training and strat planning facilitation, the Business Learning Institute may be able to help you and your firm or organization scale-up its skills in strategic planning. Learn more about The Business Learning Institute’s Strategic Planning development programs and facilitation services. BLI is also a premier provider of soft skills training, in communication, negotiation and other areas. The MACPA and the Business Learning Institute offer depth and breadth in learning resources. Registration is currently being taken for our Leadership Academy, Women to Watch awards, and other featured events. Visit our CPE calendar (please allow a few minutes for the calendar to load), and Save the Date for CPA Day 2017 in Annapolis, (January 17, 2017) one of the premier networking and advocacy events of the year, and the Newly Licensed CPA Swearing-in Ceremony on Oct. 20, 2016. See also The Business Learning Institute’s Course Calendar; learn more about BLI’s offerings including custom in-house training, learning management systems, and more. Learn more about the MACPA at macpa.org and The Business Learning Institute at blionline.org.